ASP.NET jMedia have built-in include advance object based roles & permission module within dashboard application. BlogsFullAccess: provide complete access to blogs section. BlogDeleteAccess: provide delete access within blogs. Note: You have to write custom action to handle this object with assigned user roles to make sure currently logged in user have the right to delete blog post by checking this object key. Site administrator can create unlimited roles including custom roles and assign special permissions to him / her. 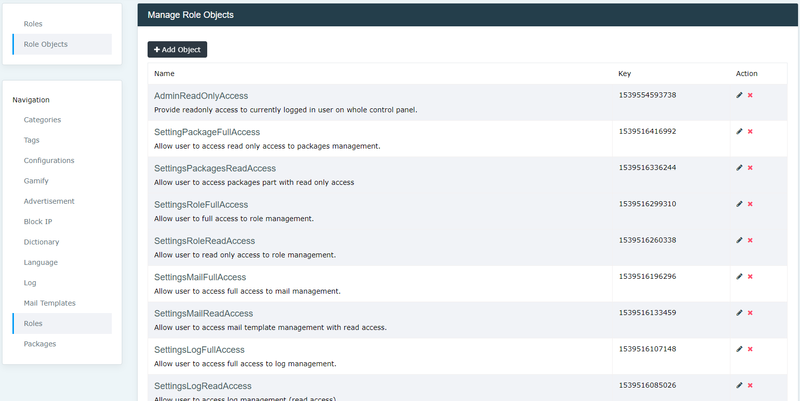 This roles & object model have flexibility to handle any level of user permissions and authorizations.